Her occupation of body creates ripples in the space around her. Her capacity and her ability to contain and express from her feeling body is where her power resides. 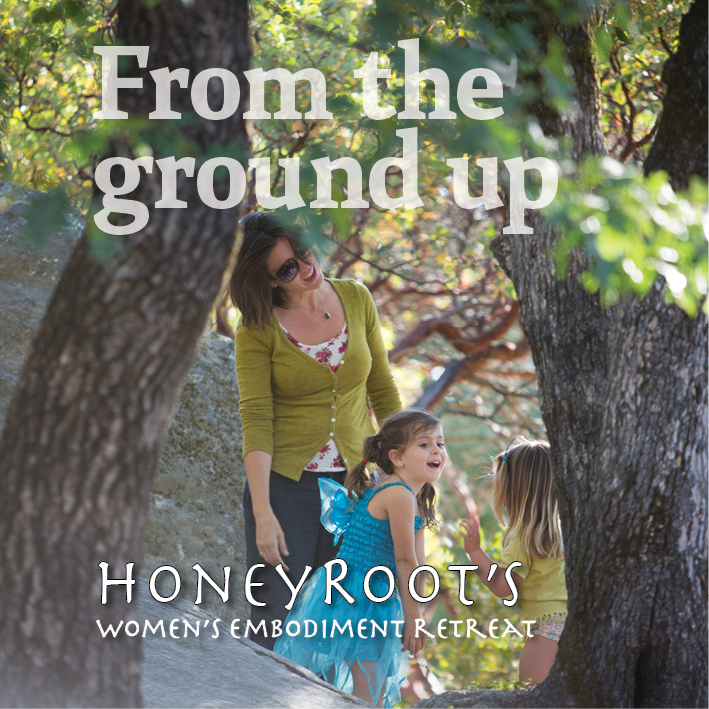 Embodied woman listens and responds -- adapts to her environment when life calls for companionship and expresses opposition when life calls for wholeness. She allows her heart to be her court of law and listens to her belly as a guidance system. She feeds her soul the food that it needs to be a conduit of the ancients and carves time for her spirit to giggle and wiggle. She knows her song is one of many. 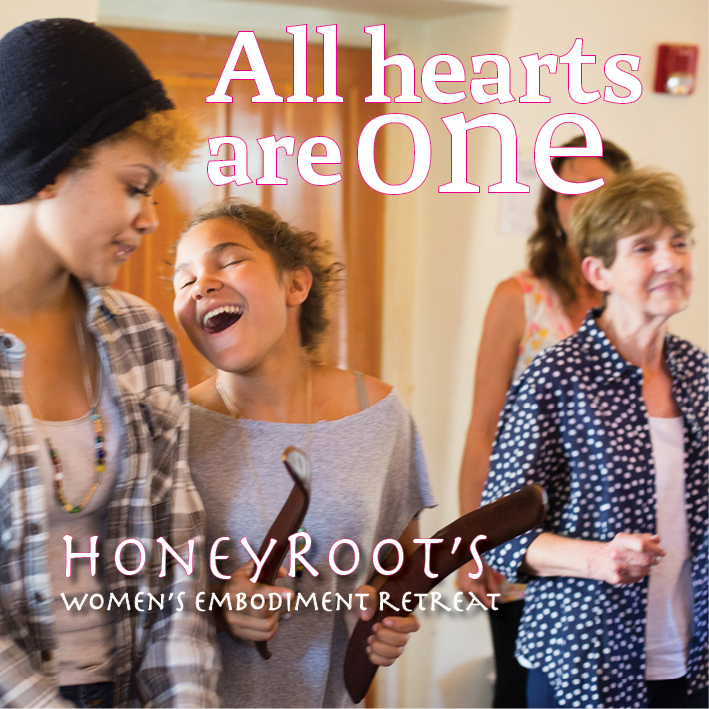 She walks in the world with a felt sense of her connection to all, while simultaneously caring for and expressing her unique, separate personhood. 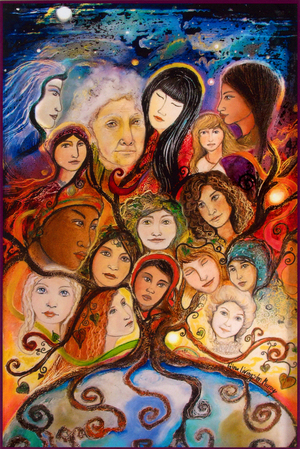 Embodied woman brings the wisdom of the cosmos and the laws of the heart into body, onto earth. She knows when to move forward, when to move backwards, and when to rest. When her heart is embodied, and thus connected to the alchemical ways of nature, she transforms the excess fear around her into connectivity and possibility. Embodied woman leans into life while staying connected to her center. She takes space without losing her connection to other. She speaks for the unspoken, and occupies silence, as needed. She is aware of her inner landscape and finds a hand to hold when she is fearful or overwhelmed. She serves the world, knowing she is both mother and daughter. 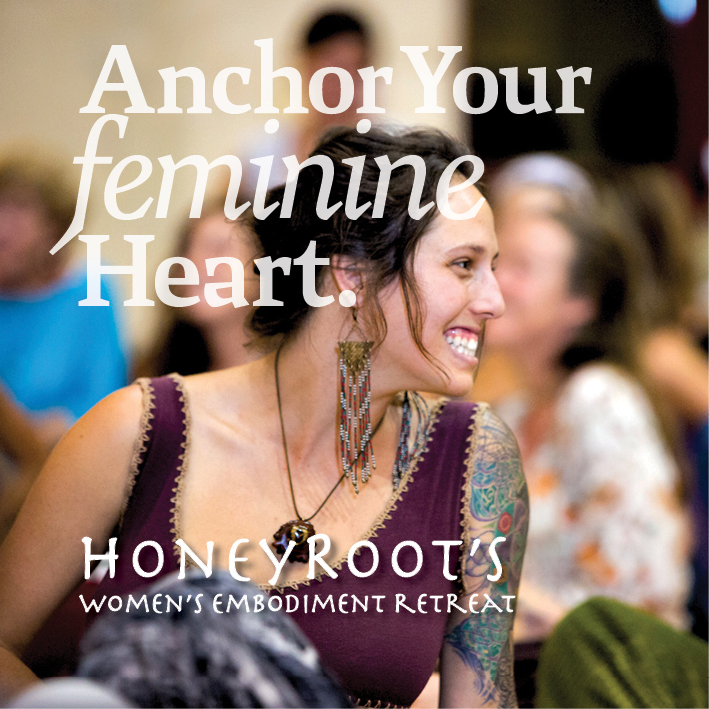 Embodied Woman has an understanding of where she has grand capacity and where she is more limited, as her felt sense of what is actual is held dear in the altar of her heart. 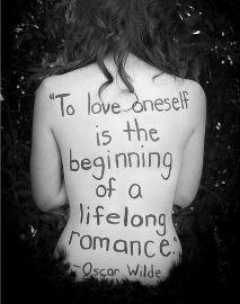 She loves herself as the shape, the flavor, the quality of woman she is. She knows that prayer and play are both sacred acts. She trusts the emotional body as a source of wisdom. 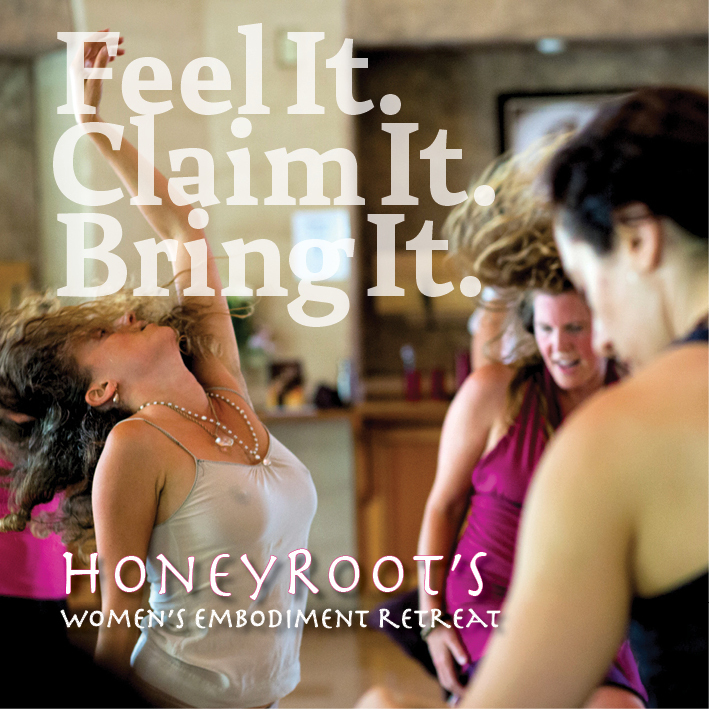 At essence, embodied woman is collaborative, wild, caring, nurturing, and creative. She is as silent as a cave and as loud as a storm. She guides when life calls for her and stands as loving witness when it does not. May all women rest into their innate power. May all women offer their heart's knowing to the world that surrounds them. May women feel confident in their ability to lead.